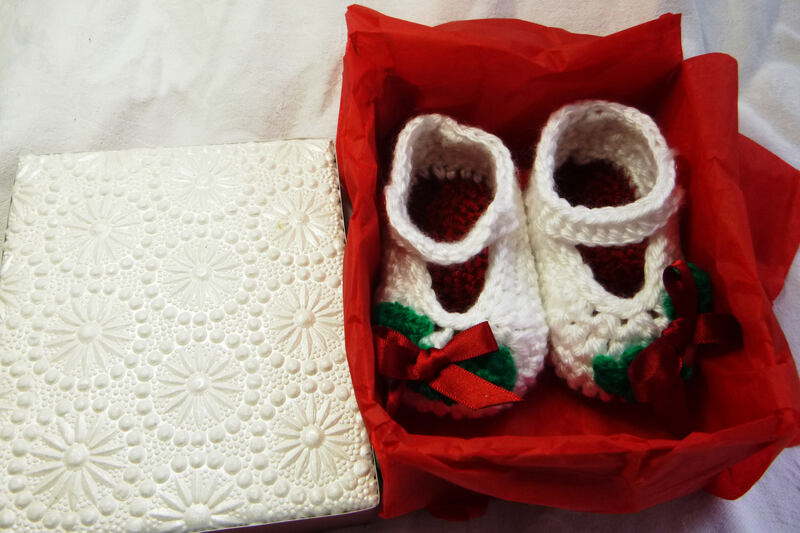 White and red handmade crochet bootees, ideal for Christmas time. 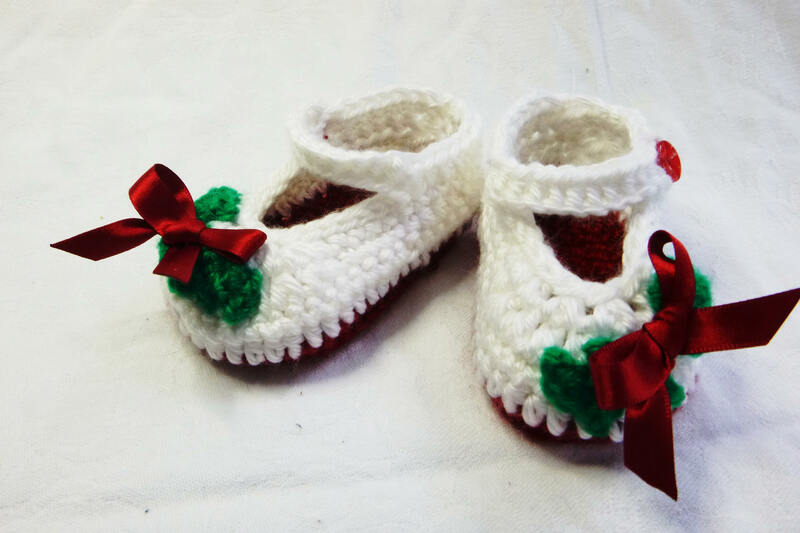 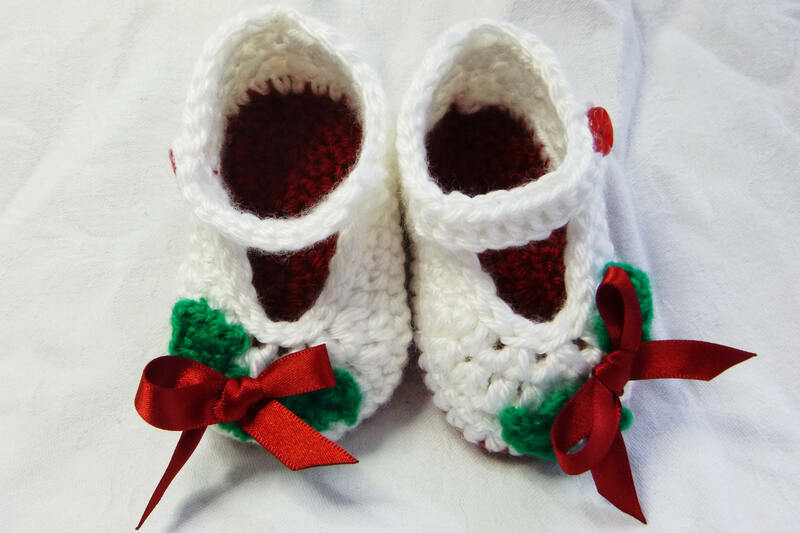 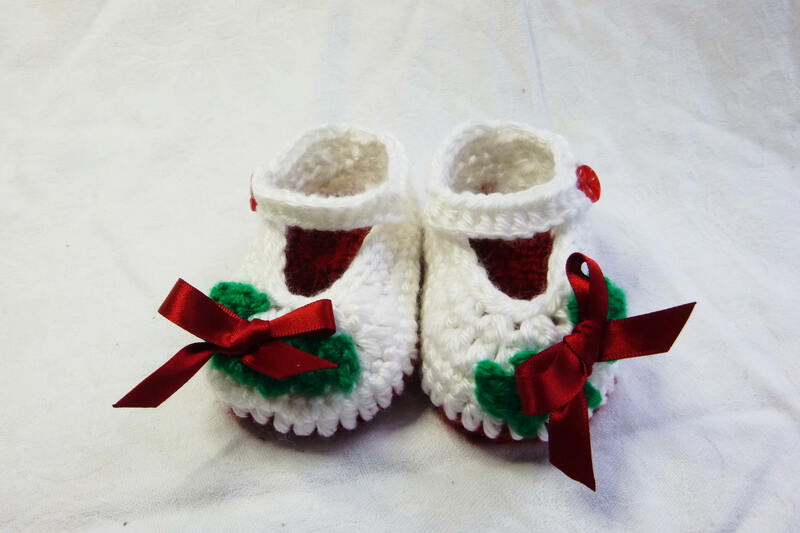 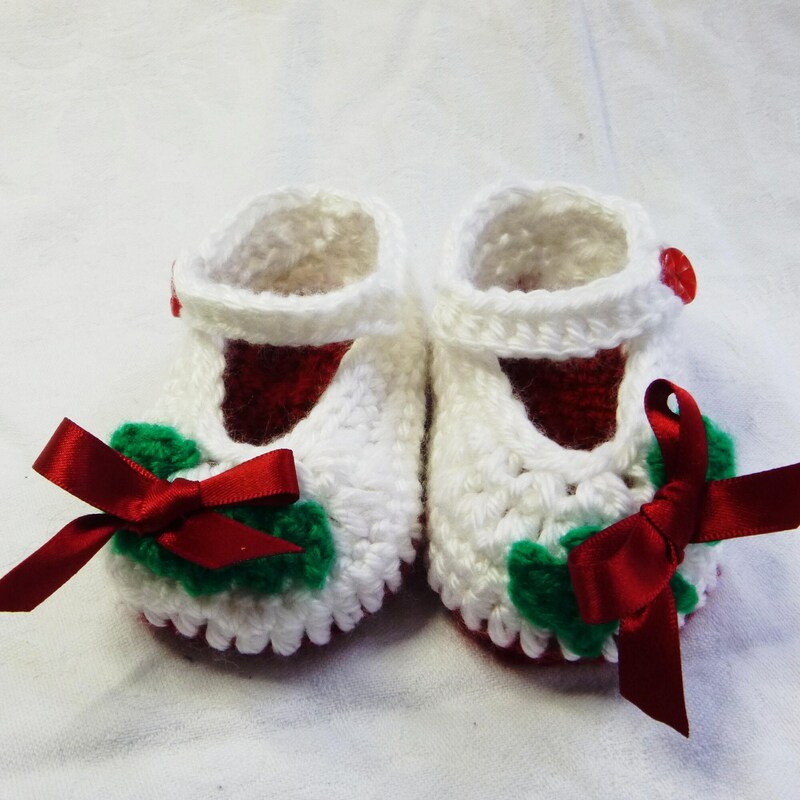 Hand crochet, with a red sole, main body is white with a bar across the foot fastened with a red button, on the front of each shoe, are two crochet green leaves with a red satin bow. 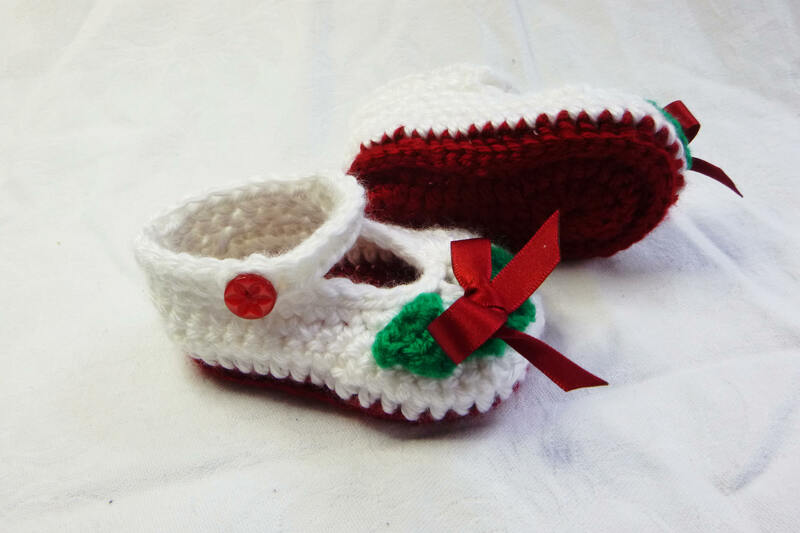 Size is 3-6 months and is gift boxed. 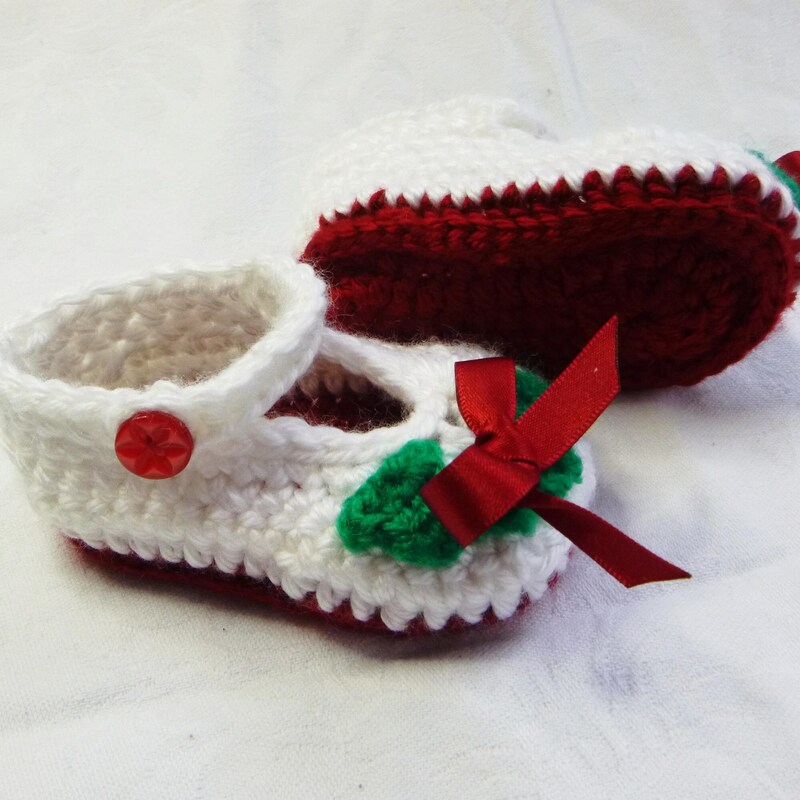 Other sizes are available please message me.